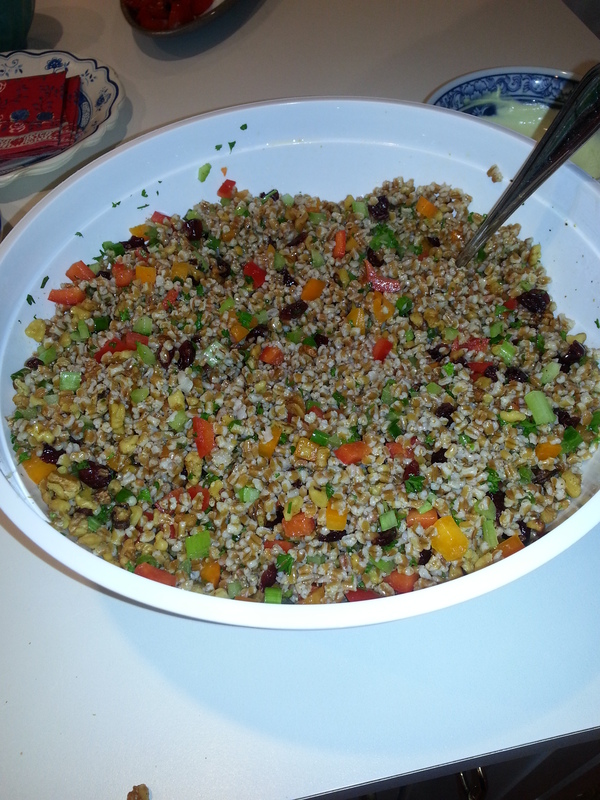 Again, tasked with the “can you bring a side dish?” request early in July, I decided to try a wheatberry dish. I am always on the hunt for delicious, fresh, and HEALTHY side dishes for the summertime when the veggies are so plentiful! 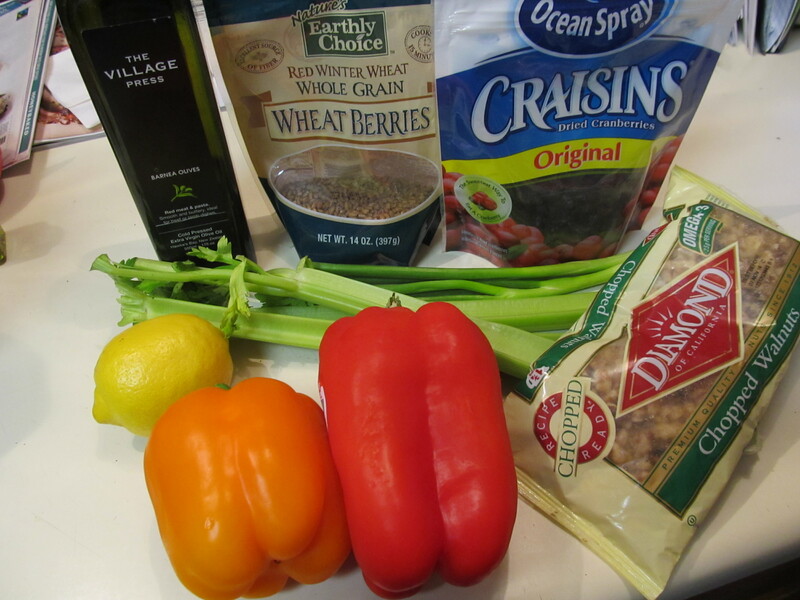 What is a wheatberry? A wheatberry is almost the whole kernel of wheat and are added to salads or served as a side dish along with corn in some countries. They are a great source of protein, fiber, and vitamins. I love putting them in my salad because they give a nice lil crunch. This recipe couldn’t be simpler: Cook your wheatberries, chop your veggies, and put together the dressing at the end and pour over top. I also threw in some more veggies than the recipe called for – I couldn’t resist putting in some red and orange pepper to give it some more color and crunch. This salad packs a light taste with a lot of crunch and TONS of healthiness!!! Everyone loved it! It was the perfect accompaniment to our summer dinner and would go great with burgers or any type of grilled meat. In a large pot combine the wheat berries and enough water to come 2 inches over the wheat berries. Bring to a boil and cook uncovered for 1 hour, or until tender. Drain and let cool. Toast the walnuts in a medium dry skillet over medium-high heat until fragrant, 2 to 3 minutes. Chop all veggies and parsley. 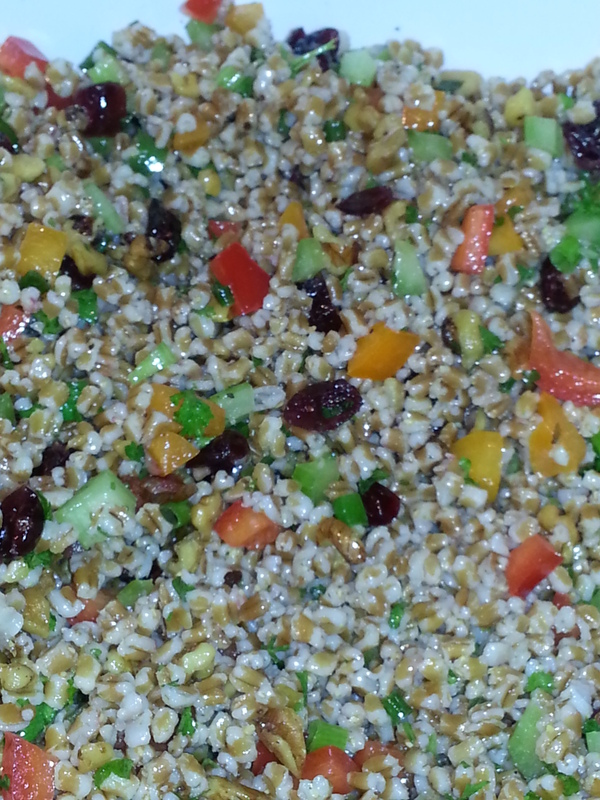 In a large bowl, combine the wheat berries, walnuts, celery, dried cherries, scallions, parsley, olive oil and lemon juice. Season to taste with salt and pepper. Ok. I am obsessed with this salad. OBSESSED! 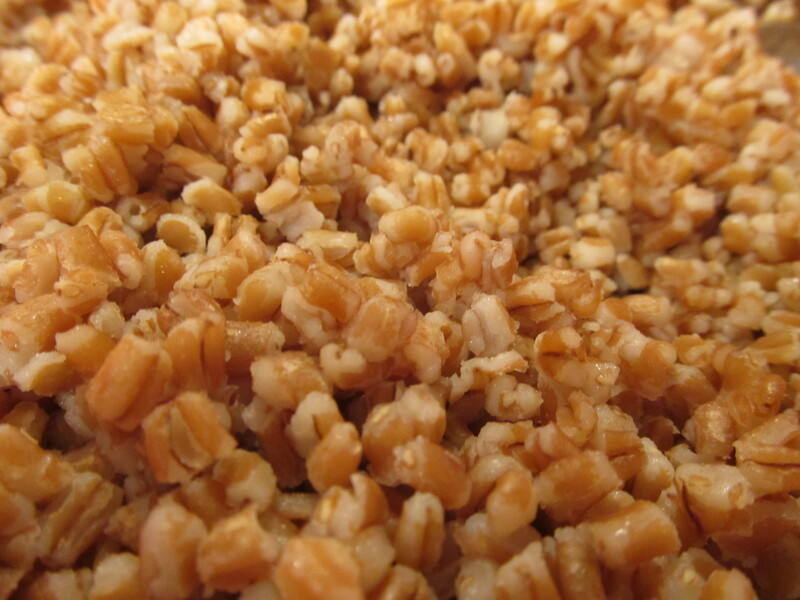 The wheat berries have a crunch and the slightest tinge of sweetness! It took me a few stores to find the wheat berries-huzzah for wegmen’s once again! So, here is the thing, the berries are time consuming to cook, so I made them and put them in the fridge for a day. Today was assembly. I forgot to toast the walnuts, and used green and red pepper. Still came out fantastic. Good olive oil and lemon juice…I didn’t even use salt or pepper! The best part, which you have already pointed out is that this salad is super healthy! Another fine pick there Laura! Wooohoooo! thanks so much for trying and leaving a comment. It is completely versatile and flexible – which is the BEST when you want to use a couple different veggies…..or not. 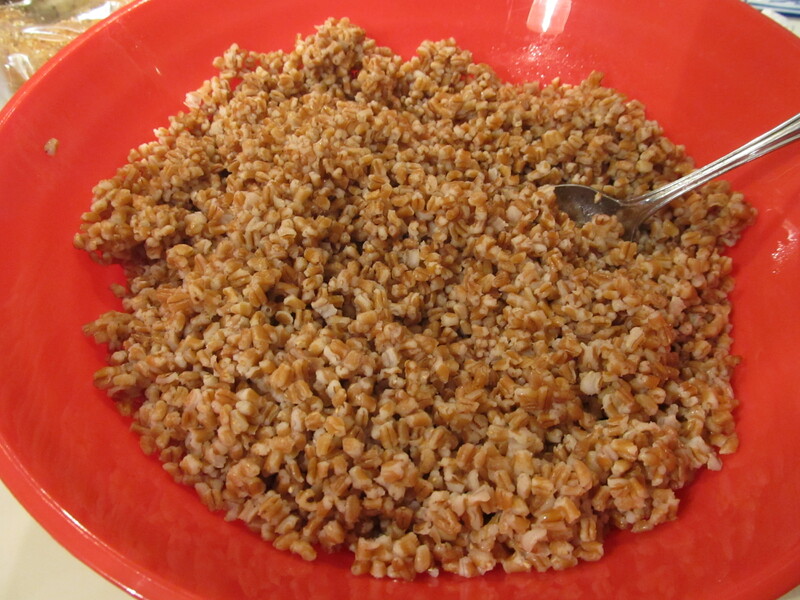 Glad you found wheatberries – they are all the rage “down county” so they are easier to find.